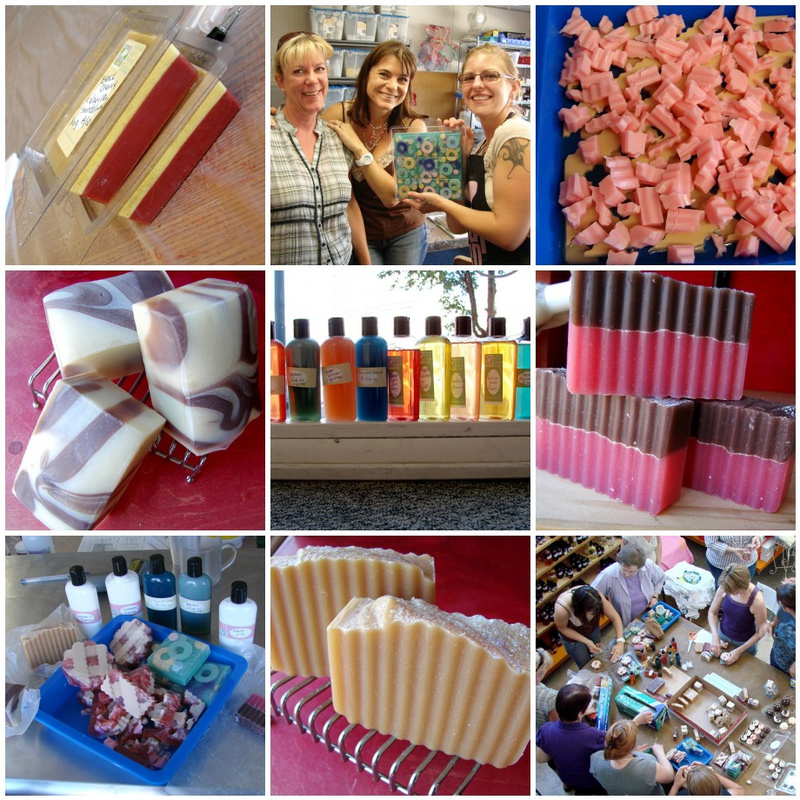 Here are some of the final pictures from Soap Weekend Intensive. I think I’m still recovering from the long and exhausting (but fun) hours. I was flabbergasted when I figured out that each student left the class with 7 pounds of soap plus liquid soap and lotion! I told you we had a busy weekend! Thanks to all of the helpers and fabulous students. Hope to see YOU next year. The fantastic plans are already in the works! Previous Post: A Voice in Washington, DC … Just for Us! Next Post: Oh The Things You Can Do! Soap Frosting 3 More Ways. Nice collage of Photo’s 🙂 It was great meeting everyone, and talking soap soap soap! You guys look like you had great fun! I love the color in the pink and brown soap. Wow – it is so nice seeing all of these shots together! This weekend was a blast and all of the projects came out so well! I am missing it already! WOW! Everything looks wonderful! I bet it was a fun weekend. Loving the overhead shot in the bottom right. It’s like they were in their own happy little eco-system. It’s nice to love doing, making, crafting, sharing.